This silver coin bracelet has staying power! Made with double strands of fabulous oval link antique silver plated chain, this wardrobe staple is perfect to layer with your other bracelets. The vintage coin is stellar, as is the unique embossed lobster claw clasp. Wear this with jeans and a sweater, or a LBD. It works! 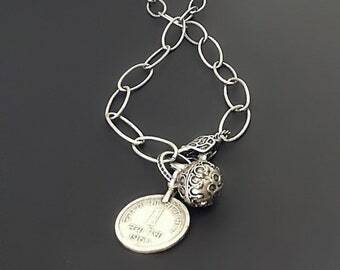 This bracelet is timeless and classic and great for fashionistas of any age. 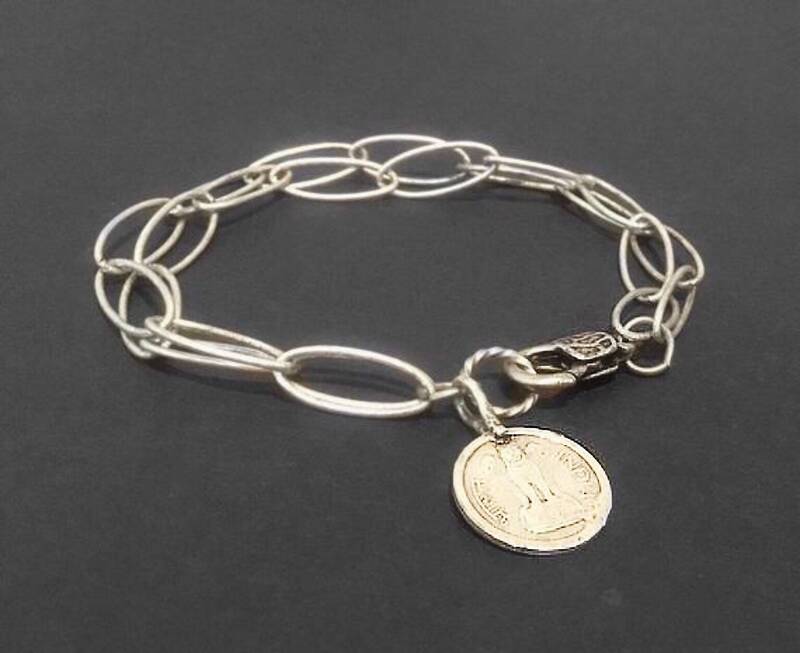 Note: This bracelet is crafted with an actual vintage coin that has been beautifully plated. Due to the natural aging of vintage coins, it may have minor imperfections consistent with its age. HOW ABOUT A GOLD COIN BRACELET? Beautiful and very well made!